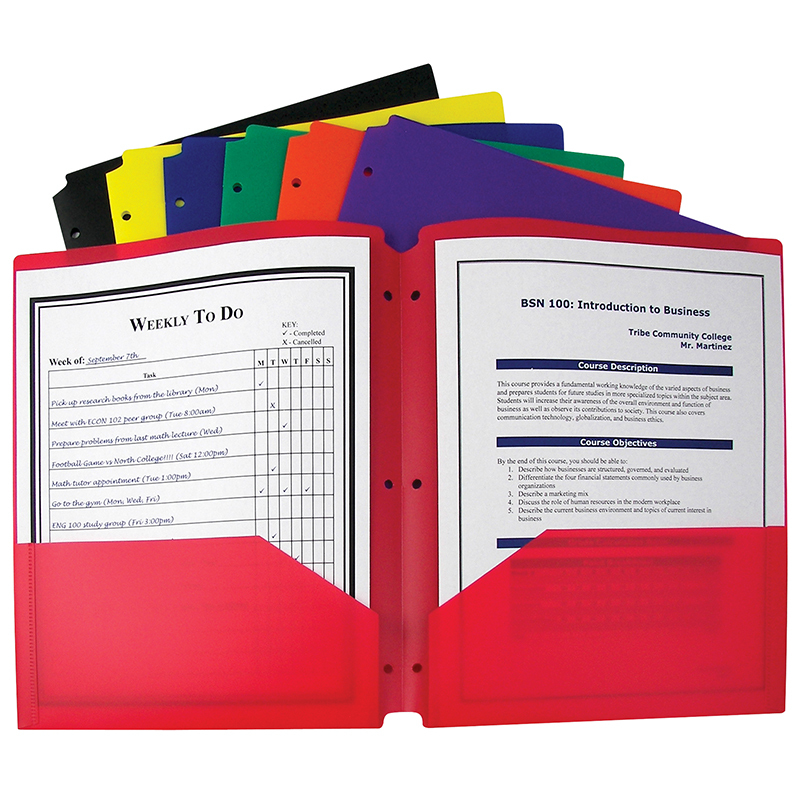 Need some help keeping your three-ring binder in order? With these specialty two-pocket folders, letter-size papers can stay organized, while still remaining accessible. Two-pocket heavyweight polypropylene portfolios/folders hold papers and resist tearing. Features three-hole punching for secure storage in standard 3-ring binders. Cut-outs at the top and bottom keep portfolio from being caught in binder open-close mechanism. Assorted primary colors include red, orange, yellow, green, blue, purple and black. Includes 36 folders.